Men’s Soccer is now undefeated in five games after coming away with a pair of wins against George Washington and St. Louis last week. The first half ended scoreless as both teams struggled to find the back of the net during the Oct. 13 match. But that changed 15 minutes into the second half, as the Colonials’ graduate midfielder Haukur Hilmarsson scored on a rebounded shot to give GW the lead. The Rams equalized 27 minutes later when freshman forward Martin Ngoh scored his second goal of the season from inside the 6-yard-box. With less than five minutes left in the game, redshirt-senior midfielder Peter Pearson slid the ball into the back of the net off a Ngoh pass to give the Rams the 2-1 lead. It was Pearson’s third score of the season. 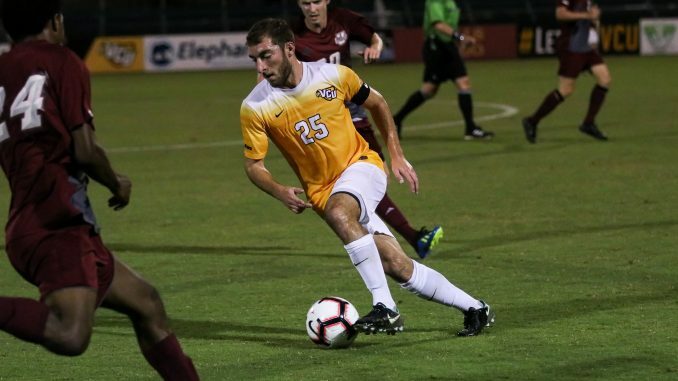 VCU’s late-game heroics earned the team its fourth win in five games, as its record improved to 8-4-1. Men’s Soccer remained undefeated for its fourth straight match after overcoming a defensive test that took the game to overtime against St. Louis Oct. 10. The Rams came away with a tie despite only managing four shots versus the Billikens’ 24. A St. Louis onslaught on the Rams’ goal began near the end of the second half, but sophomore goalkeeper Mario Sequeira held his ground, racking up three saves by the end of regulation. Sequeira added three more staves in overtime, ending the game with six total. While the Rams’ defense held strong, so did the Billikens’. 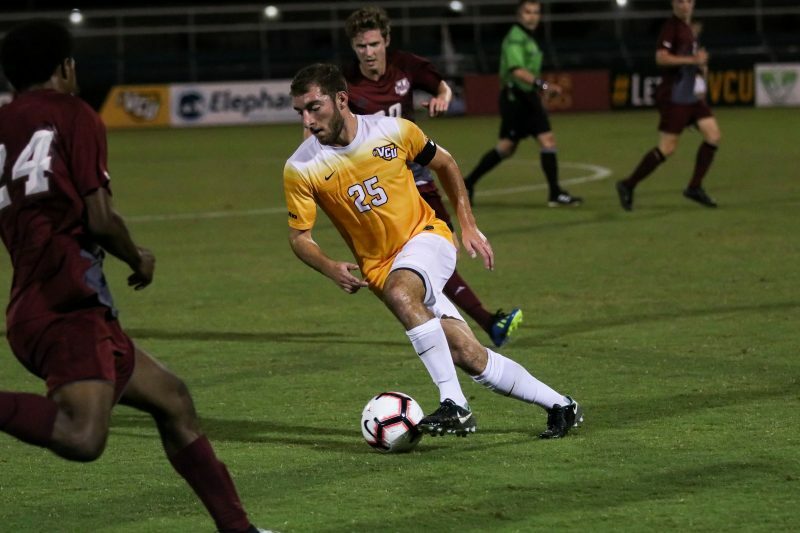 Sophomore defender Ryo Shimazaki, sophomore forward Jared Greene and redshirt-senior midfielder Joseph Gonnella were three of four VCU players who attempted shots on goal, but to no avail. The physical matchup ended with 20 fouls and five yellow cards, one of which was given to Ngoh. As the half wound down, redshirt-senior midfielder Eli Lockaby found Ngoh, whose shot only managed to hit the post. Late into the second half, Shimazaki’s shot was saved by Billiken goalkeeper Seth Stiebel, which kept the game scoreless. Neither team could find the back of the net in overtime to win the game. But VCU kept its undefeated streak alive with the scoreless draw. The Rams play their final home game, which is senior night, against George Mason University Oct. 20 — their first home match in three outings.